You can never have too many flowers. So do the birds and the squirrels. 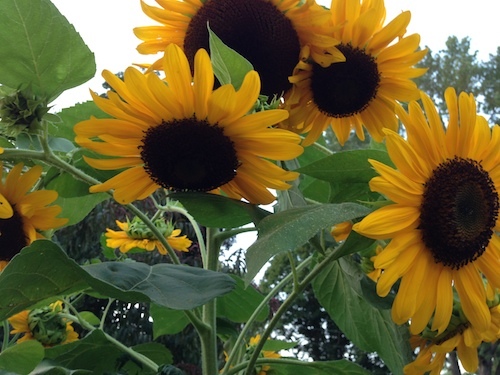 The sunflower-seed-loving gold finches are here. While practically standing on my head, I took this picture. 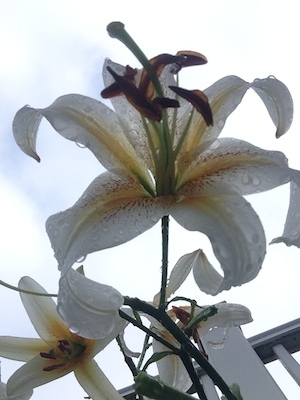 The yard is exploding in lilies. 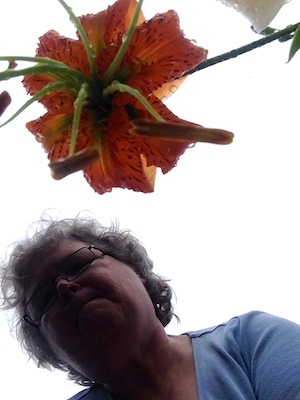 I didn’t know I had taken a selfie and until I saw me attempting to photograph this lovely orange lily after a rain. 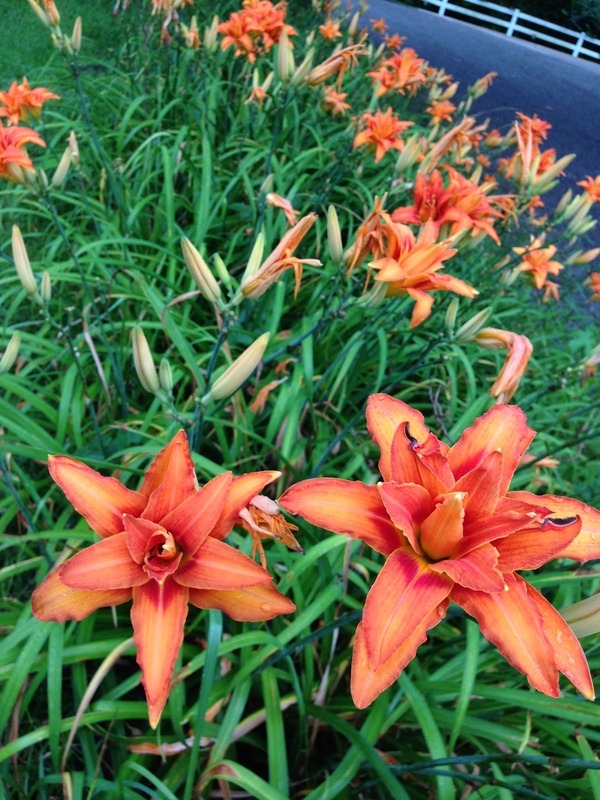 Thousands of unusual orange daylilies. 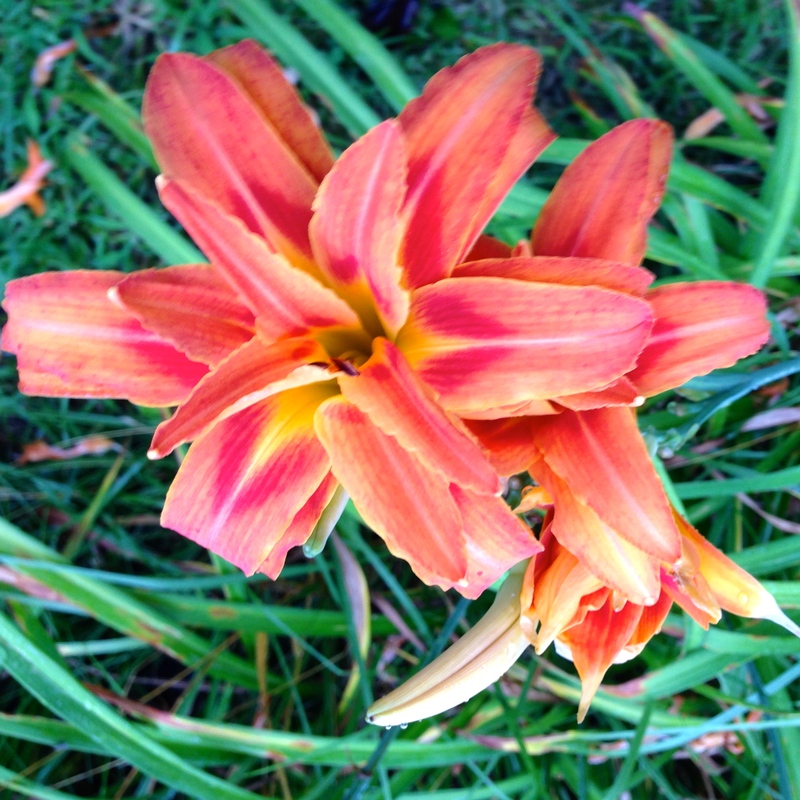 I have a gazillion of these double daylilies. Their name is a mystery, I haven’t a clue. If you know, please educate me. I’ve looked and looked. Yucca Plant in bloom above. Did I mention the food garden is blooming and blooming? This Green Tiger zucchini plant is huge, about 4′ tall. If I didn’t eat eggplant, I would still grow it because of the flowers. 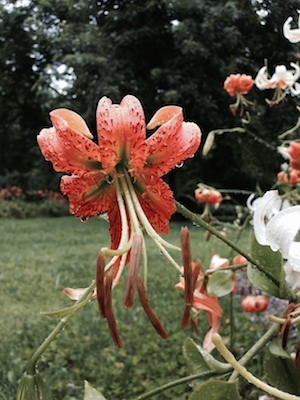 There are many more flowers in the yard and gardens that I would love to share. But I think I better go out and pick the zucchini while it is still small enough to carry. Get ideas about eggplants on my Pin: Ratatouille, or loads of garden vegetables ready now. and zucchini on my Pinterest sites. The Tomato Pages here, on Oh Grow Up! Thank you for visitiing my blog: Oh Grow Up! This entry was posted in GBBD Garden Bloggers Bloom Day, Plants From Seed and tagged Daylily, Garden Bloggers Bloom Day, lily, sunflower GBBD. Bookmark the permalink.